Lanes Group has been praised for its “superb” contribution to major road improvements on the campus of the University of Warwick. The company’s Minworth-based engineers carried out a series of CCTV drainage surveys and cleaned highway drains for contractor Costain, as part of scheme to upgrade the main public access route into the University. The road improvements, planned with Coventry City Council, are due to be completed by spring 2015, in time for a series of major events to celebrate the 50th anniversary of the founding of the University. Costain Works Manager Spencer Brindley said: “The Lanes team did a superb job for us on the project. We needed to identify the current drainage system on site, so we could connect it to the new works. The campus access route, known as Gibbett Hill Road, had been closed for the works. The Lanes team, led by CCTV drainage survey engineer Fariss von Rundstedt, co-ordinated their works closely with Costain colleagues, who were also working on the site. Fariss von Runstedt said: “Because of the complexity and urgency of the works, we had to move about the site quite a bit to allow other elements to progress. It was important to keep track of what needed to be completed at any point in time. 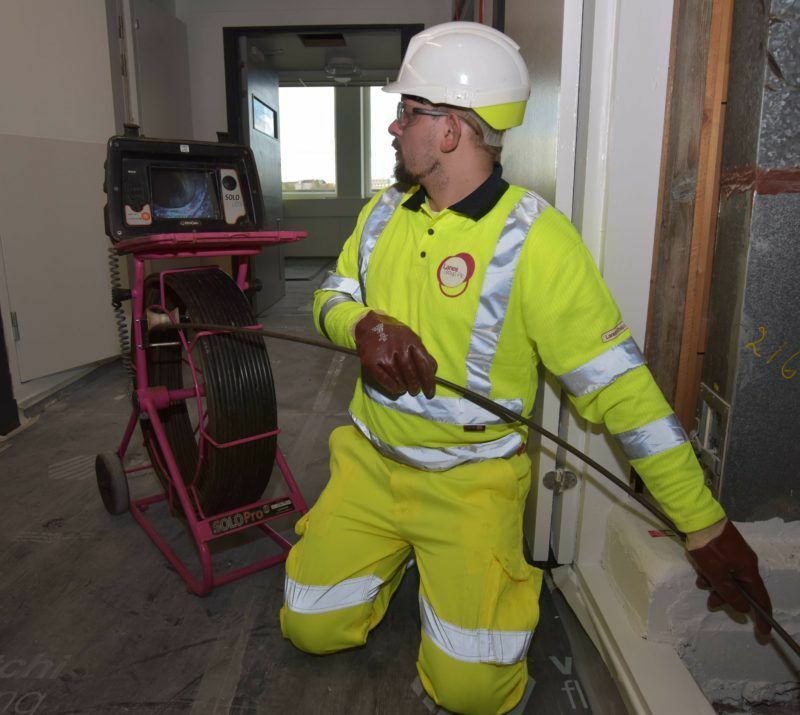 “We carried out CCTV drainage surveys on about 1,400 metres of drains ranging from 150mm to 525mm in diameter, resulting in 87 survey reports. The Birmingham Lanes team was also commissioned to survey the drainage system serving one of the main amenity areas of the university campus, which included a supermarket, a Costa Coffee outlet and the Warwick Arts Centre. Road improvements being carried out by Costain includes the creation of a new bus lane, plus two new bus stops, and significant modification of two roundabouts to improve pedestrian safety.